In September 2013, Autodesk started cooperation with Circuits.io and integrated this cloud app with its own tools of the Autodesk 123D family. Autodesk now performed a complete acquisition of the technology and development team of Circuits.io incorporating this design tool to its portfolio of applications for design of electronic circuits and simulation. Circuits.io allows to design and simulate electronic circuits using libraries of real electronic components. You can also use it to design and even manufacture printed circuit boards (PCB) for the proposed circuits. The increasing availability and popularity of various electronic real-world sensors and programmable controllers opens opportunities for easy creation of various smart devices and practical electronic gadgets. For example the community website Instructables.com contains over 2,000 designs of devices employing the popular Arduino programmable controller. Projects developed using the application "123D Circuits" range from simple flashing LED circuits to autopilot devices for flying drones. Autodesk also collaborates with Intel. 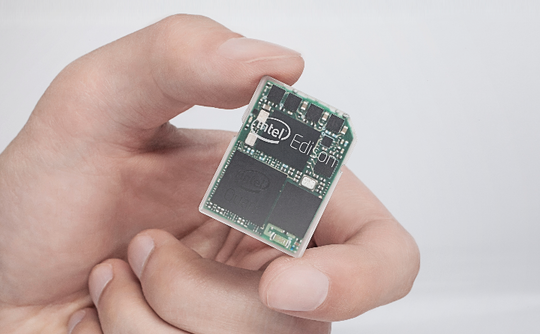 The revolutionary computer Intel Edison introduced yesterday at the CES 2014 (miniature computer in SD-card with WiFi and BlueTooth) is being added to the mechanical and electrical libraries in 123D Circuits, so it is possible to design and manufacture devices based on Edison in 123D Circuits.